For me, clearly mistakenly, I’ve always been more focused on Value. With this in mind every year at around this time I preparing a house Valuation metric that goes beyond that generally presented by the mainstream media by getting more granular and trying to Value housing at County level. For completeness last year’s efforts can be seen here and you can track back to previous years from there. My definition of Value is simply how many years of gross earnings (median and average) are required to buy an average house. This is a simple average Price to Earnings Ratio (P/E) and is not unlike how some might value a company share. Average prices are then calculated by taking Geometric Mean Prices (as opposed to an arithmetic mean), to reduce the influence of individual values, from April 2000 and adjusting these prices in accordance with the Index changes. They are seasonally adjusted. I am using the latest published data which comes from March 2016. The Valuation analysis is arranged according to the Regions and County’s defined by the Land Registry and is shown in the Table below. Unlike the mainstream media I am calling high house prices bad (unsurprisingly the County with the highest house price is London at £534,785 and is shown in dark red) and low house prices good (the County with the lowest house price is Blaenau Gwent at £69,384 and is dark green) with all other prices shaded between red and green depending on house price. For Earnings I am using the 2015 Annual Survey of Hours and Earnings (ASHE) which provides information about the levels, distribution and make-up of earnings and hours paid for employees within industries, occupations and regions in the UK. To ensure that our Earners and Homes are located within the same County I’m using the Earnings by Place of Residence by Local Authority. This dataset presents weekly Earnings at both median (the middle point from each distribution) and mean (the average) levels which we have arranged into each Land Registry Region and County in the Table below. I then multiply the data by 52 weeks to convert it to an annual salary. I am calling low earnings bad (the lowest average earnings are £18,606 in Blackpool and are dark red) and high earnings good (the highest average earnings are £39,437 in Windsor and Maidenhead and are dark green) with all other earnings shaded between red and green depending on earnings. 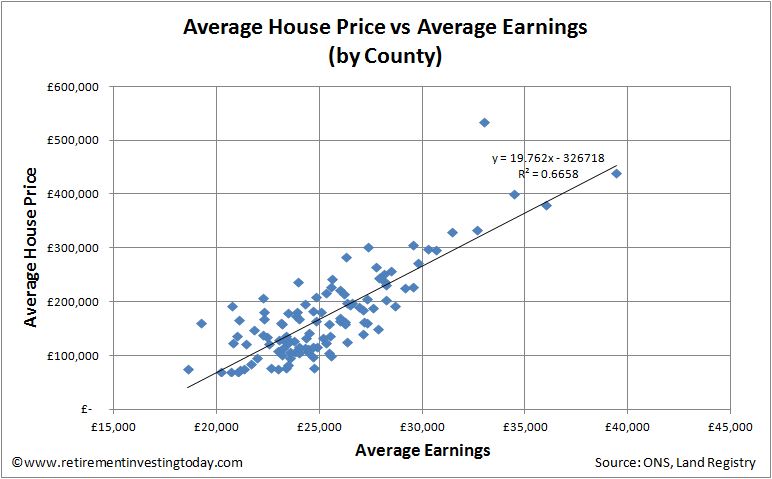 By combining the two datasets we can see the valuation of houses across the County’s of England and Wales. The formula remains Value equals Price divided by Earnings (P/E) with the results shown in the table below. The 2015 to 2016 year on year change in value is also shown. Across England and Wales Value has degraded by 4.3% over the past year which is bad news if you’re trying to get on the ‘property ladder’ or trying to move onto the ‘next rung’. Regionally it of course varies. Average the Counties of Yorkshire and The Humber and Value has improved by 0.4%. The West Midlands has worsened by 0.4% and The North by 0.9%. Head to the Counties of the South East and Value has fallen by 8.8%. London has seen value fall by 15.0% on top of 12.7% last year. Full disclosure: Regular readers will already know this and I’ve mentioned parts of it above but in the interests of full disclosure I remain out of the housing market. 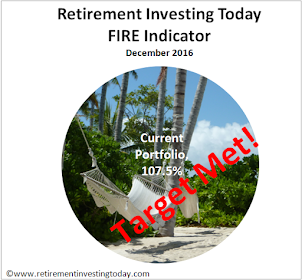 I also believe that if I had treated a home like an investment (which I don’t and won’t) and bought when I first considered it my net wealth would have been higher today. Back then I believed property was over valued and I still do today. Given the stage of my current journey to Financial Independence it is now very unlikely that I will ever buy here and will instead move to Southern Europe. "if I had treated a home like an investment (which I don’t and won’t)": the mistake is to sentimentalise the issue by referring to a "home"; call it a "house" and you see it's just a thingy. And of course it's an investment. Something will have to pay for your widow's old age "care", and it may well be your house. Only that the equity market has done about as well as the housing market for investments. So if all the buy to let and flipper fans had instead put money into stocks and shares, they'd be just as well off, and houses would be lower valued and more affordable for them and their children. A lot easier to sells some stocks and shares for a year of care than your primary place of residence. "houses would be lower valued": by what miracle? House prices are set by the balance of supply and demand, and by the interest rates that determine their affordability. So unless you'd suppressed the growth of demand, or increased the rate of supply, or abandoned the near-zero BoE rate, they'd be much where they are today. They are just thingies, after all. 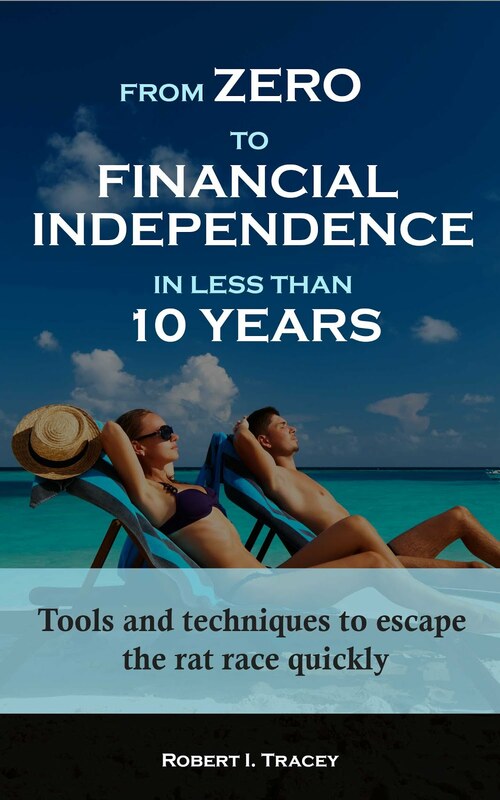 "A lot easier to sells some stocks and shares for a year of care than your primary place of residence." True; but irrelevant to those elderly survivors of a marriage who are going into a "Care" home never to emerge, and who therefore don't need the house anymore. For much of their life it has given them shelter; towards the end it buys them shelter. How the devil is that not an investment? Or do you advocate lots of houses standing empty waiting for granny to die before they are sold? Houses are especially an attractive investment in any country that gives them tax privileges in the hands of the owner-occupier, and where it is easy to gear up the investment e.g. the UK and (I suppose) most other developed nations. Perhaps RIT knows the position in Malta. Plus the sale of your primary residence is tax free. Not so for the sale of shares (28% tax. Ouch!). Excellent analysis. Housing, particularly in Southern England, is terrible value, particularly when compared to many other places in the developed world. Of course, as Keynes said, markets can remain irrational for longer than one can remain solvent, but it would be very foolhardy to think that prices will continue to rise at this rate, even under benign economic conditions. However, as a silver lining one of the side-effects of the economic firestorm that Brexit would cause is a collapse in house prices - Bernstein have suggested today by up to 30% due to overleverage and rising unemployment. That might take us back to something approaching reasonable valuations for the first time this millennium, so you might be able to reconsider your choice of location. Of course in this situation equities would also be hammered so cash (certainly in a non-Sterling currency) is probably the safest option in the short term. FX cash is the safest? not sure. A lot of volatility is expected, so what rates will be there at the end - noone knows. Thanks RIT, your annual housing update is almost the highlight of my year (I'm joking, but I'm not sure how much). London is simply bonkers. 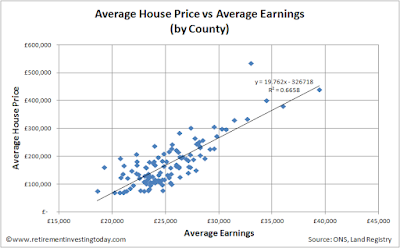 Average earnings aren't that different to where I live in Kent, but the average house price is almost twice as high (and Kent isn't exactly cheap). One day we'll look back on this period in the same way as we do for the dot-com bubble or the 1980's Japanese property boom; or tulipmania for that matter. House prices are determined by supply and demand of credit. Debt based financing of the housing market and particularly BTL investing has been detrimental to the UK as a whole over the last 30 years. That's a great analysis. You are thinking more like an investment. Normal people are thinking as a home, a place of desire. Wonder why I didn't learn this in school?